IBM was an early pioneer to apply Cognitive/AI technologies to the enterprise, through their IBM Watson Product ecosystem. IBM’s Watson is a cognitive-era system, a system that learns and understands natural language, just like human beings. There is no need to program every output with a complex programming logic. IBM Watson is taught by design, learns by experience, learns from interactions, gets smarter over time, and makes better judgement over time. IBM Watson-based Cognitive Applications, learn and interact naturally with people to extend what either humans or machines could do on their own. They help human experts make better decisions by penetrating the complexity of big data. They do so by implementing the capabilities of Understanding, Reasoning, Learning and Interacting, with a variety of actors. Such application capabilities are referred to as Augmented Intelligence, as an alternate to Artificial Intelligence. Cognitive Applications have technical foundations in Deep learning/Machine learning, natural language processing, reasoning and inferences, and semantic contextual understanding, while leveraging relevant content and incorporation of deep subject matter expertise. 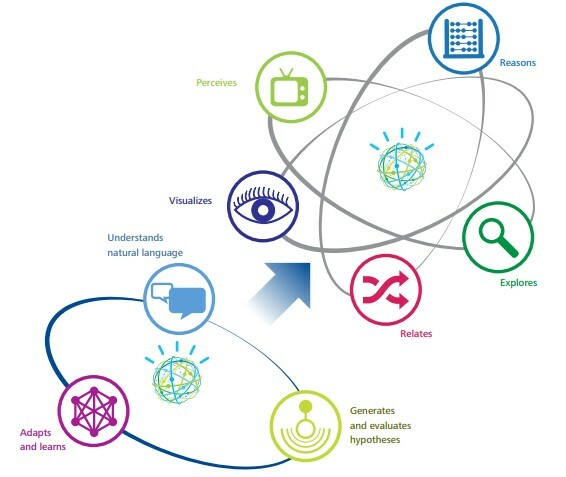 IBM Watson provides Cognitive Services that enable advanced cognitive capabilities such as personality analysis, extraction of meaning from unstructured data, visual and speech recognition and conversational capabilities. Such a spectrum of capabilities enables the application of IBM Watson Platforms, Product and API services to fit the needs of a variety of use cases. Why is IBM Watson of interest to Insurance companies executives, for them to consider in their IT portfolio? IBM Watson gives IT architects and developers the capabilities to develop systems that understand reason, learn and interact. Such systems get transformed from systems that do to systems that think and learn. The real value of such systems comes because it offers the potential to implement a spectrum of capabilities from Cognitive Curation, Cognitive Data Exploration, Cognitive Customer Engagement, and Cognitive Analytics, that form the foundational basis for Augmented Intelligence and Learning Systems. Enhanced customer interactions through Virtual Conversation: Cognitive chat-bots have been implemented to collaborate with customers and end users in a natural conversational way, to aid in decision making and helping customer make transactions through digital channels. Often, such conversational applications prove to be competitive differentiators. Customer Insight for Insurance: Customer Insight for Insurance uses a cognitive approach to create a comprehensive view of customers, and generate new insights into customer preferences and future behaviour. Underwriting: Cognitive Underwriting allows an insurance underwriter to spend less time validating data, and more time applying insights that create new sources of value. 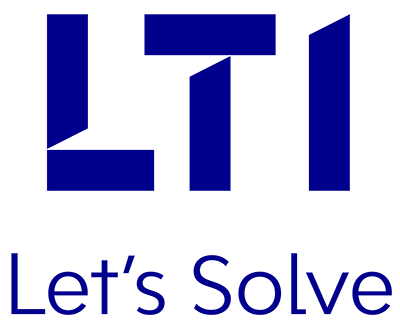 It enables underwriters the ability to do a lot more with a lot less time, and establish trust and confidence with customers. IoT for Insurance: It reshapes claims processing application with drone-enabled visual data analytics, and automated damage estimation. It streamlines claims processing, while improving the ability to respond quickly to customer needs. Moreover, it provides a holistic protection personalized to the customer, therefore shifting the very nature of risk. Ingestion of all sorts of data and knowledge that is available from a variety of structured, semi-structured, and unstructured sources. Learn from experience with data/evidence and improve its own knowledge and performance without reprogramming. Generate and/or evaluate conflicting hypotheses based on the current state of its knowledge. Report on findings in a way that justifies conclusions based on confidence in the evidence. Discover patterns in data, with or without explicit guidance from a user regarding the nature of the pattern. Understand Natural Language – Use NLP to extract meaning from textual data, and use deep learning tools to extract features from images, video, voice, and sensors. Iterative processes enable the system to learn and deepen its scope, so that understanding of the data improves over time. Are GDPR and PSD2 Creating Conflict & Confusion?